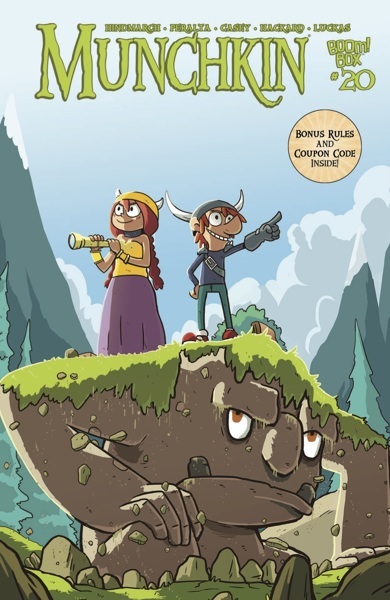 Daily Illuminator: Munchkin Comics #20 In Stores Now! 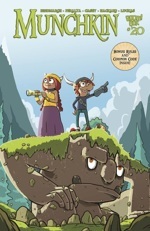 August 24, 2016: Munchkin Comics #20 In Stores Now! 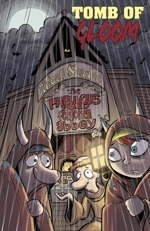 You can't feel gloomy and mixed up while reading Munchkin comics! 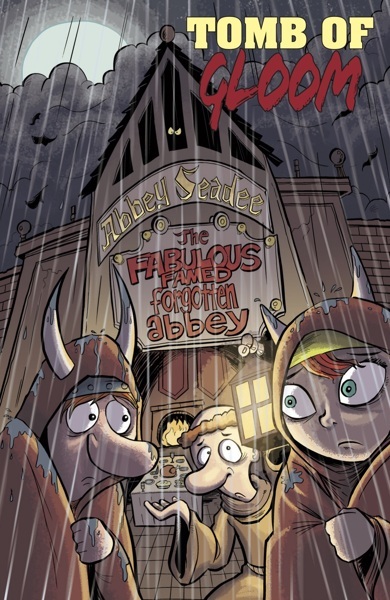 Well, actually, you can if the comic issue is based on Munchkin Gloom and Moop's Monster Mashup. What a coincidence, then, that those are the games featured in Munchkin #20 from BOOM! Studios! In the back, you'll find the first part of an interview with the designers of Munchkin Gloom, which continues online. And don't forget about the promo code, located at the end of each issue, for an exclusive BOOM! Studios Munchkin bookmark. The Official Munchkin Bookmark of Moop's Spring Special bounces off the page this month! Pick up issue #20 at your friendly local comic shop, or from Warehouse 23, today!